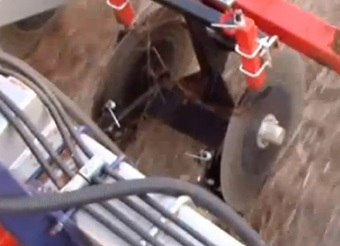 Not all soils provide easy planting conditions. 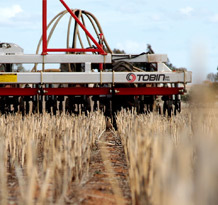 Tobin No-Till offers a number of options to suit your conditions and will keep your machine planting efficiently in rocky country and through sticky soils. 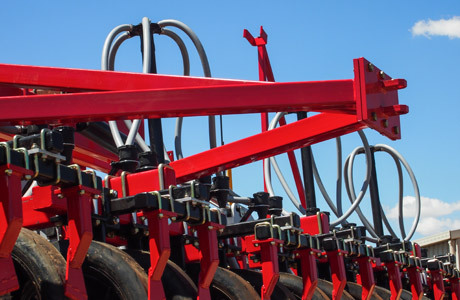 Application of pre-emergence herbicide and nitrogen options allow single pass operations for greater efficiency and cost savings. 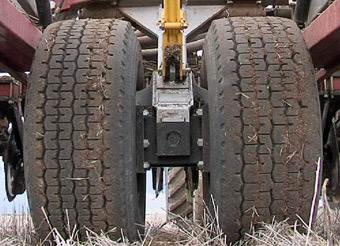 Talk to your dealer or Tobin No-Till about the appropriate options for your farming operation. 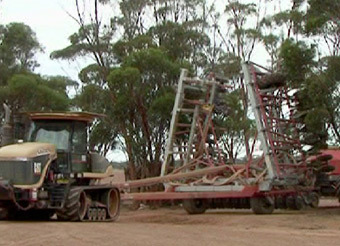 Options are designed to maximise planting efficiency. Some options can be retro-fitted. 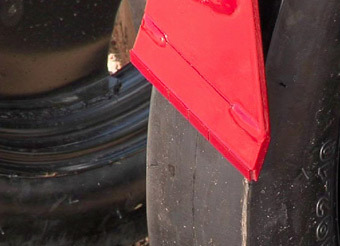 For use in compacted or hard conditions. 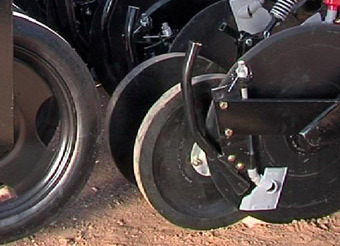 Rubber wheels roll alongside the disc and crunch any soil chips down over the seed to ensure even soil to seed contact. 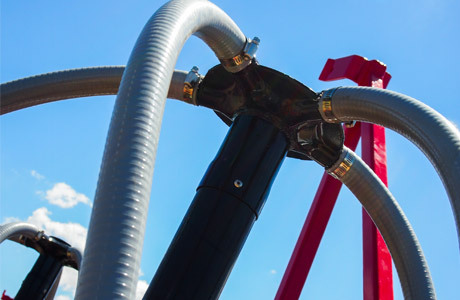 Fully adjustable to vary pressure in different conditions. 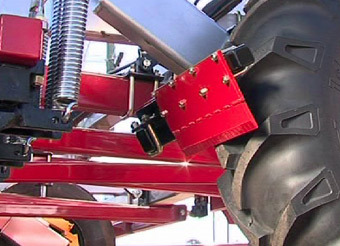 Independently adjustable nitrogen banding discs fitted to front of planter. 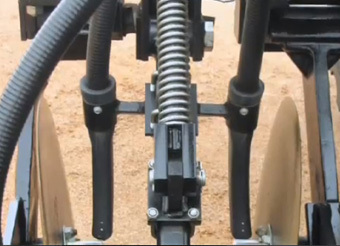 For urea application in sandy conditions, fixed spray tubes are fitted between discs. 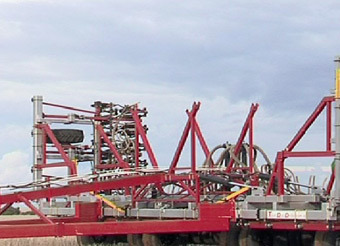 Machines are available in fixed frame, single, double and triple fold. We can custom build to suit your transport requirements. 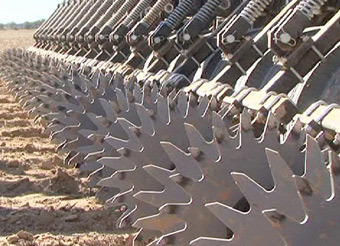 Spring-loaded, adjustable, tungsten -tiled, pivoting disc scrapers for use in sticky soils on the opposite side to the boot. Tension adjustment determined by level of stickiness. Can be retro-fitted. Boot side scrapers come standard. 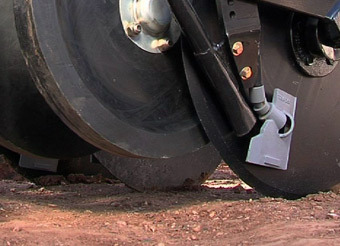 Tungsten tiled scraper keeps press wheels clean in sticky conditions. 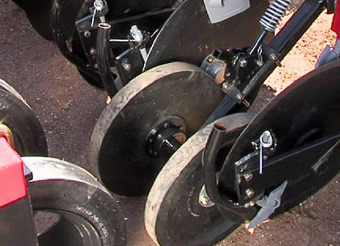 Failure to keep press wheels clean can lead to unreliable planting depth. Can be retro-fitted. 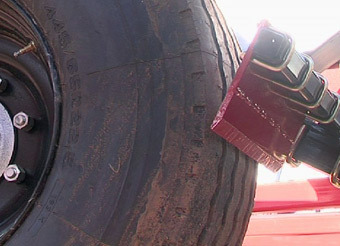 Tungsten tiled scrapers keeps transport wheels clean in sticky conditions. Can be retro-fitted. 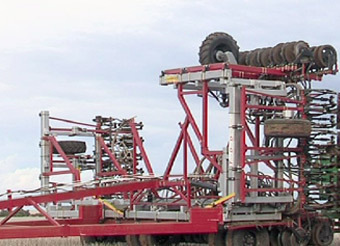 Made to suit all air cart. Built strong to last. 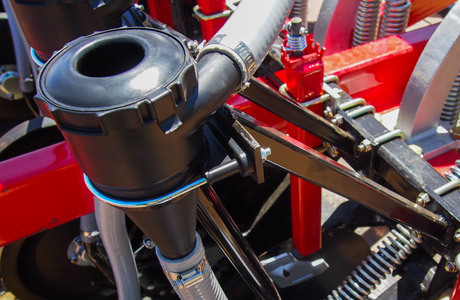 Air kits are custom configured to get the best performance from your air cart. 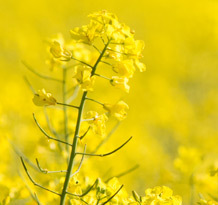 Diffusers remove excess air pressure from the seed lines. 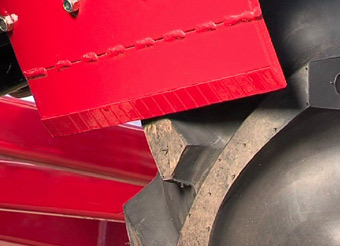 This will allow for higher fan speeds required to prevent blockages whilst prevent unwanted seed bounce that may clause uneven seed placement. 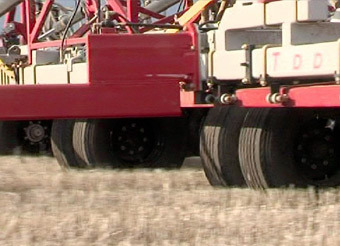 Offers greater floatation in the paddock, and more stability in transport. 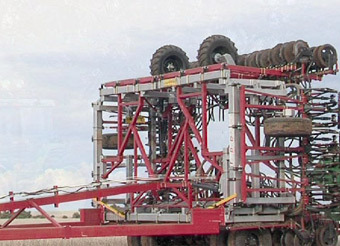 Optional on machines 40ft (12m) and narrower (standard on wider machine). Main wheels utilise super singles, 445/65 R22.5, 20 ply. 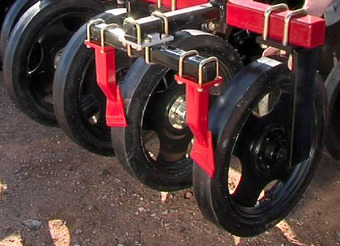 Adjustable height and pressure star discs mounted to rear of planter to generate disturbance to incorporate pre-emergence herbicide. Available in kit-form and can be retro-fitted. 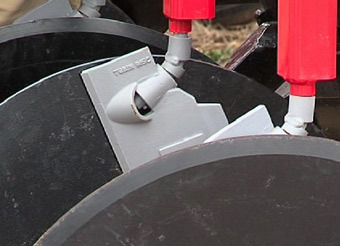 To control rhizoctonia, we offer a fluted disc opener which can cultivate at depths up to six inches. Available as a kit to cultivate between the rows or to cultivate on row.